← 2010-2011 Acad-Pads Are Here! Save 15%! My goodness, I’ve had an extraordinarily exciting week! I have so much to tell you! Lord Dodo had been due to attend the London Book Fair last week. Unfortunately he became stranded in the Dodolomites (where he is oft to be found whenever he can escape for a few days) and he was unable to return to the UK due to the ash cloud from the erupting Eyjafjallajokull volcano in Iceland! The eruption certainly caused havoc for so many air travelers attempting to fly to or from Europe. It appeared Lord Dodo would not be able to return for some time. So, he sent me to the Book Fair to represent Dodo Pad in his stead. How exciting! I don’t often make it to London as I am usually the one left holding the fort at Dodo Towers when Lord Dodo is away. But, due to these extraordinary extenuating circumstances, I made my way to our capital city and had a jolly good time of it! The London Book Fair was a grand event, despite some people not managing to attend due to the aforementioned ash cloud. It was terribly exciting for me to meet so many booksellers, publishers, illustrators – so many different people! There was a huge amount of creative energy in the place that was simply thrilling to experience. Many people noticed the colorful Dodo Pad display and came over to investigate. I especially enjoyed hearing people’s Dodo Pad stories! One woman told me how her entire extended family has used Dodo Pad diaries for generations. Others told me how their mother has used a Dodo Pad diary for as long as they can remember. Others told me how they find the various Dodo organisers indodispensible. It was great fun to speak to so many Dodo Pad fans! After the Book Fair I took the opportunity to enjoy many other delights that London has to offer. All work and no play makes Miss Peabody a dull girl! So off I went into the big city. 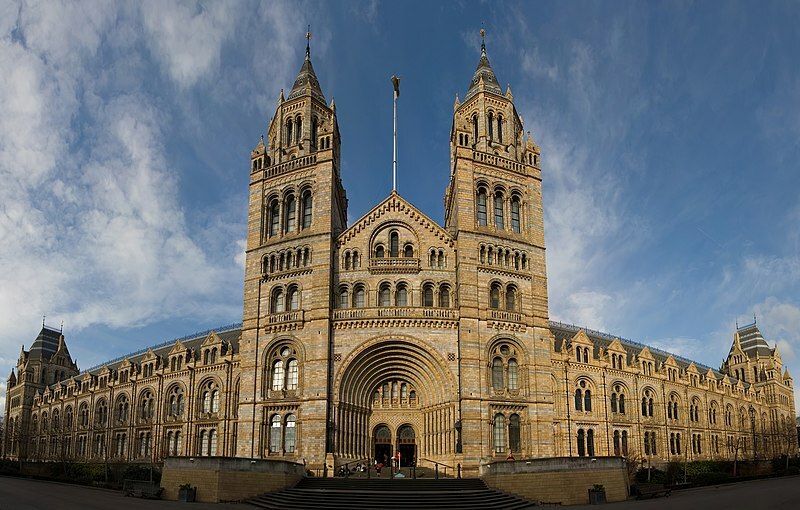 I made a bit of a pilgrimage to the Natural History Museum to – what else? – visit the dodo! They have a couple of lovely taxidermy dodo specimens. I enjoyed my lunch whilst sitting next to the skeleton of the dodo, to simultaneously nourish myself with my food and bask in the dodo’s magnificence. Some may say it is an ungainly bird, but I find it quite elegant. I also had the opportunity to visit the British Museum, home of countless amazing artifacts. Two of my favorites are the Rosetta Stone, and the Lewis Chessmen. The Rosetta Stone, as you may know, is the stone that allowed scholars to decipher the ancient Egyptian language. The stone has on its surface the same inscription in three different languages: Greek, Egyptian hieroglyphic and demotic (which was used at the time for everyday purposes). Scholars were able to use the Greek inscription as a template to work out the Egyptian hieroglyphics. Deciphering Egyptian opened the door for scholars and Egyptologists to learn about ancient Egypt in ways that were previously impossible! The Lewis Chessmen are absolutely charming little chess sets that were discovered hidden on the island of Lewis. They are carved from walrus tusks and are presumed to be from around AD 1200. Their little faces are quite comical! I can just imagine medieval Vikings engaging in a game of chess. My favorites are the “berserkers” shown biting their shields! I had a grand time indeed in London! But as exciting as my visit was, I must say it was lovely to return to the comforts of home and hearth here at Dodo Towers. And I am happy to report that Lord Dodo made his way home again safe and sound at the weekend. How are you dear Dodopadlers? Were your travel plans affected by the ash cloud? Do post a comment and tell us about it! Miss P – how can I ever thank you enough for minding the ‘shop’ in my abscence? The invisible barrier (aka metallic ash) between us was indeed insurmountable on this occasion… I am deeply indebted to you and clearly you made a significant impression upon our dear Dodopadlers whom you were fortunate enough to meet at the London Book Fair.